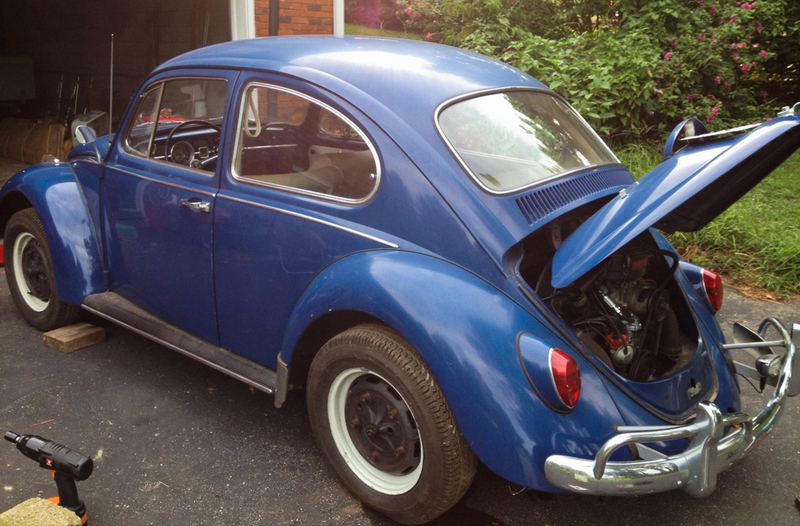 This is a special ’67 Beetle that belonged to your grandfather? 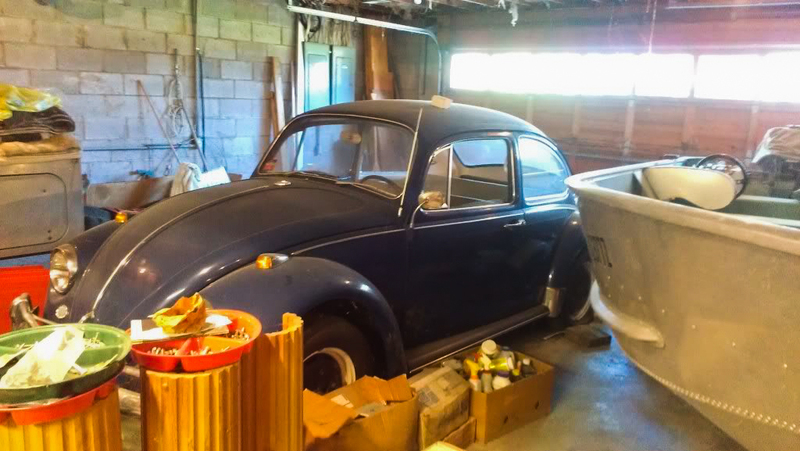 My ’67 Beetle was stored in my grandparent’s basement for as long as I can remember. My grandma died when I was 25, and before she passed she asked if I had an interest in taking the ’67. Of course, I said yes. After the dust settled, one weekend, I went down to their house to see what it needed to get back on the road. I pushed it out of the garage after 30 plus years of sitting idle. It was out of gas along with brake fluid. The brakes also badly needed adjusting. After these simple items were taken care of, it only took a quick bump of the key to ignite her back to life. There’s something really amazing about that. 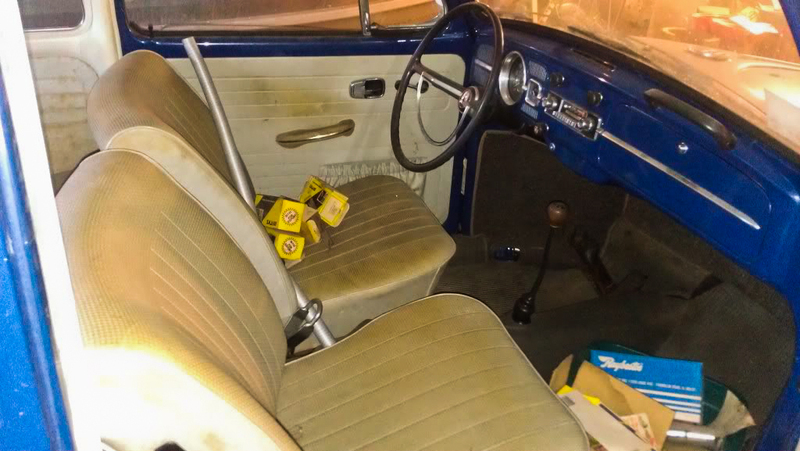 What do you know about the history of the car? My grandfather purchased it from an older woman long ago. He drove it for a few years and then parked it. How long had it been in storage? What are your restoration plans? I plan to keep it 100% stock. All of these one year only parts. Luckily, the car is complete. I don’t think much is really missing. 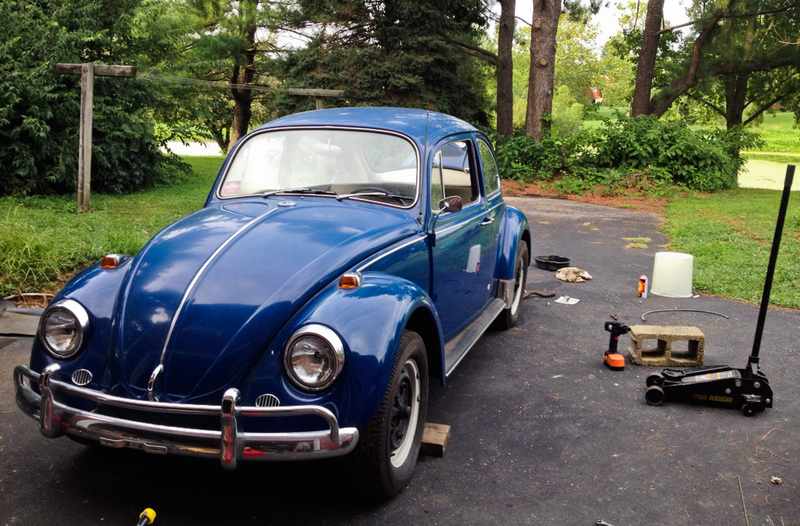 What is your take on doing a 100% stock restoration vs. non stock? 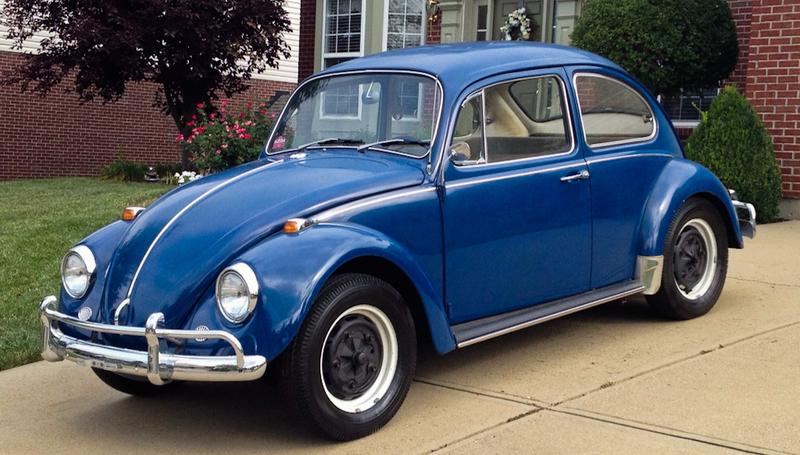 I’m a firm believer that a stock ’67 Beetle will always bring a higher value than one that is not. Well, I’m new to this. So far, I’d say keep it stock and buy the best quality German parts you can find. 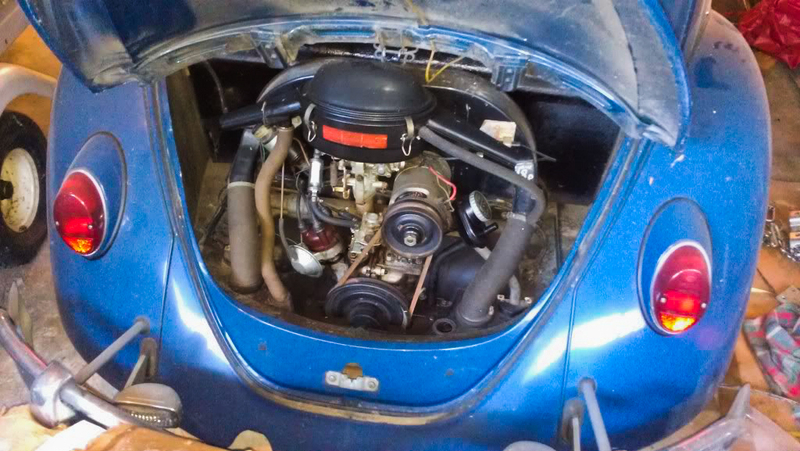 Thanks, Brian, for sharing your story with 1967beetle.com. 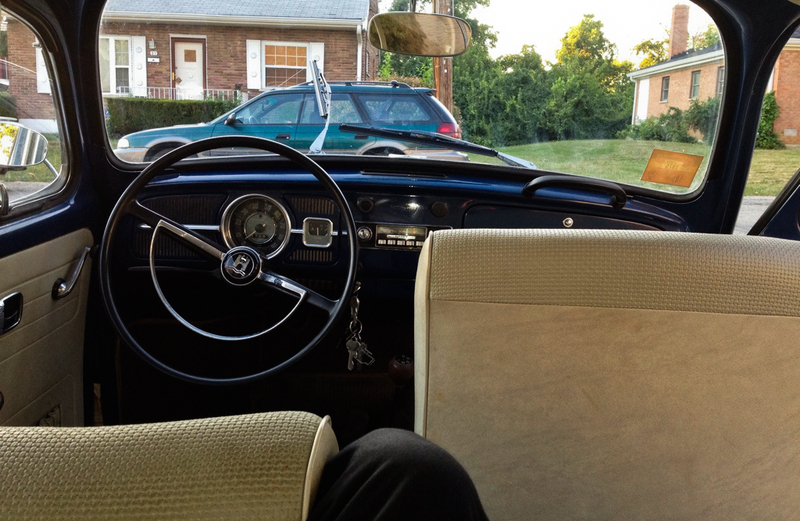 I love cars with a history like this. Thank you for sharing your story. Nice car!!! Looks like you have a good one there, doesn’t look like a lot of issues at all with it! enjoy!! 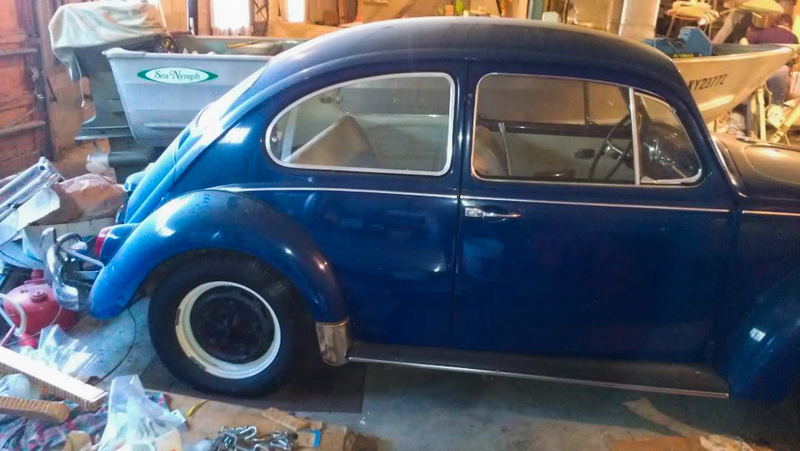 This was the color of my 67 when I first got it. Mine had some rust in the back because the owner before me had an engine fire. I love reading about how these old cars are where they are today. What a joy and a blessing it is to walk into a 67 as original as that. 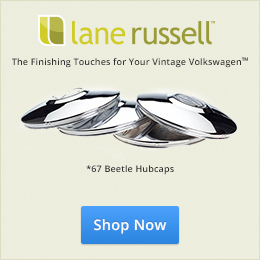 You won’t realize what a great big deal that is until you have to source some OEM or German parts. Very nice, thanks for sharing. 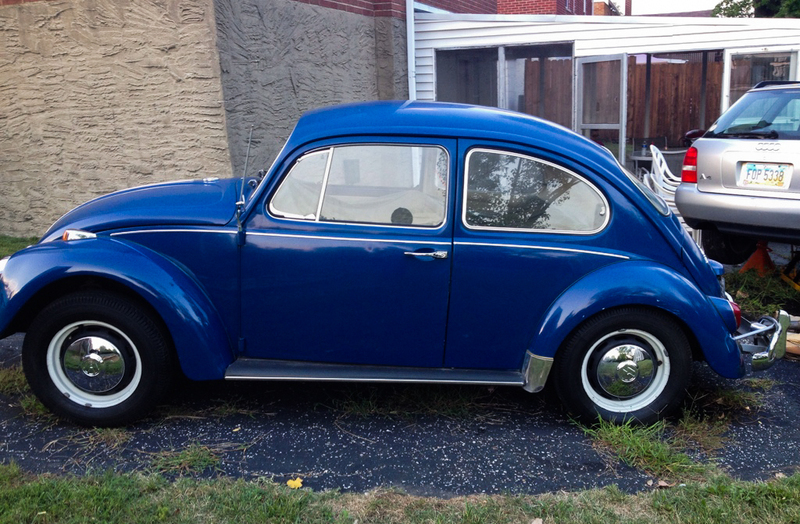 My first car was a blue 1967 VW. I posted a picture of it on this site.I modified the bumpers using 68 wrap arounds and larger tail and signal lights giving it a newer style look. If I ever found one like this especially in blue for a good price I might buy again. Really nice story ! 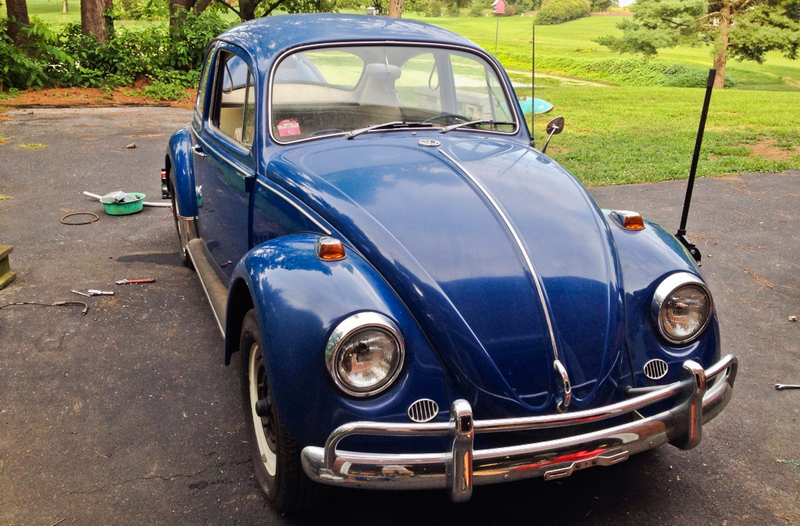 :) I love the bug’s paint ! What a fantastic story! Thanks for sharing. The blue paint is beautiful and the stock parts a real plus. It’s truly a gift to be able to carry the family heritage forward with this heirloom.